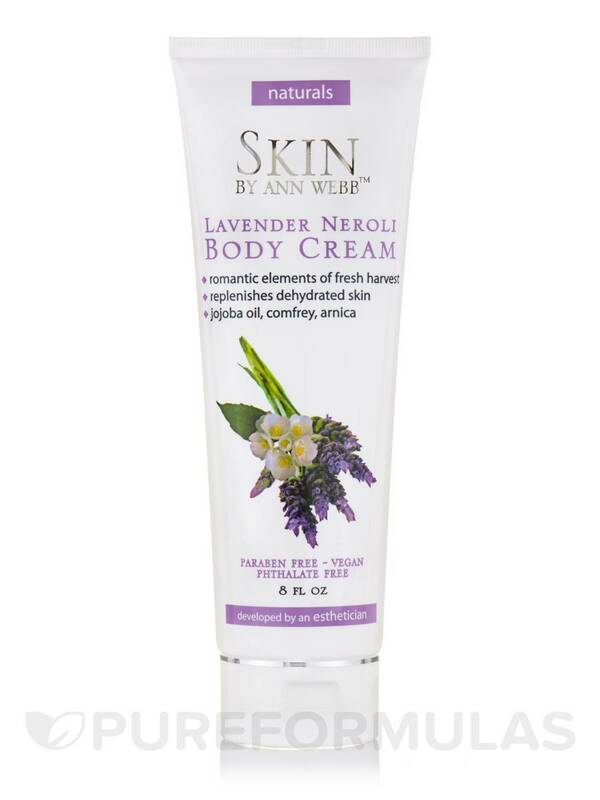 A luxurious‚ whole-body nourishing cream. Blended with delicate floral notes and laced with subtle hints of citrus spice. Enriched with Jojoba and Olive Oils for parched skin. Aloe Vera and Hyaluronic Acid replenish lost moisture levels while Comfrey‚ Arnica‚ and Chamomile extracts soothe irritation. Perfectly emollient‚ absorbs quickly without leaving a greasy residue to promote radiantly soft skin. Water‚ Aloe Barbadensis Leaf Juice (organic)‚ Octyl Palmitate‚ Helianthus Annuus (Sunflower) Seed Oil‚ Olea Europaea (Olive) Oil‚ Stearic Acid‚ Cetyl Alcohol‚ Hyaluronic Acid‚ Calendula Officinalis Flower Extract‚ Simmondsia Chinensis (Jojoba) Seed Oil‚ Symphytum Officinale (Comfrey) Rhizome/Root Extract‚ Rosmarinus Officinalis (Rosemary) Leaf Extract‚ Anthemis Nobilis (Chamomile) Flower Extract‚ Arnica Montana Flower Extract‚ Lavandula Angustifolia (Lavender) Aromatic Extract‚ Tocopheryl Acetate‚ Citrus Aurantium Amara (Neroli) Oil‚ Phenoxyethanol‚ Caprylyl Glycol‚ Sorbic Acid‚ Citric Acid. (Preservatives: Phenoxyethanol‚ Caprylyl Glycol‚ Sorbic Acid. pH Level: 5.5 - 6.5). Apply daily after bathing for best results. Massage completely into skin.